"Friendly, helpful, and the exercises during the appointment were great..."
"I highly recommend Got Your Back Total Health to anyone"
"GYBTH is a fantastic facility and the team of professionals is beyond compare." "When I keep up with my stretches and treatments, I have zero back/neck pain." "The staff care and provide a full tailored treatment service to address your situation." "I believe, 100%, in Dr. Klein and the Got Your Back team." "Got your back has a unique and personalized approach to achieving holistic spine health." "Everyone here is fantastic, and we look forward to our family health visits." "I still go in once a month for adjustment and maintenance." "After a few months of treatment I'm like a new person!!!" 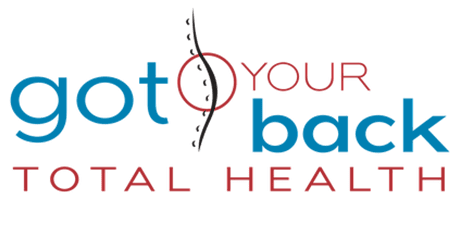 "I'm grateful to GYB for reawakening my body..."
Got Your Back Total Health is a full-service chiropractic facility that offers cutting-edge technology to accurately diagnose and treat a wide variety of health conditions. The professional staff at the facility embraces the philosophy that the body is designed to move. The concept of structure meeting function is one that holds ultimate value, especially when it comes to helping their patients regain their physical health. Got Your Back Total Health serves the residents of Maryland, Virginia, Washington, D.C., and Spring Valley, NW DC. Got Your Back Total Health offers chiropractic care, massage therapy, personal training services, and a list of other features, including a Movement Room and "Play Pen" area for the kids. Maintaining the integrity of the structure to ensure proper form and function is essential for good physical health. Each member of the staff is certified in their respective fields and work together to provide their patients with complete and comprehensive treatment plans that address all of their needs. Got Your Back Total Health is now offering ScoliBrace products! These are custom-made 3D spinal braces for individuals with scoliosis. Call us now to discuss true corrective treatment options for scoliosis with ScoliBrace! We now offer Regenerative Medicine Therapy in our office, which promotes faster healing and helps reduce pain. Book an appointment today. The MoveMentality(R) System is our unique and proprietary combination of movement, mindset and awareness of total body health. It is “intelligence in movement,” and at Got Your Back Total Health, we believe that we all have the capacity for a healthy mental attitude where we truly understand the benefits of our personalized physical therapy. We’ve designed our gym and classes to adapt to people on ANY level, and for a variety of different goals and achievements. Our small, semi-private, group training classes are designed to help you return to the body you were meant to have, whether you come in pain, or preparing for a tournament. The MoveMentality(R) will help you rebuild your foundation of stability and mobility, ultimately reducing your chance for injury while maximizing your efforts to build strength and resilience. If you want a strong heart, mind and body, our MoveMentality(R) System has been created specifically for you! What is your role in GYB? • Front Desk Management Assistance and Patient Manager. How long have you been working at GYB? • Playing sports, hanging out with friends, and Traveling. Download your Got Your Back Total Health App for iPhone; for tips, news and rewards. Got Your Back Total Health App for Android; for tips, news and rewards. We are In-Network with Blue Cross/Blue Shield only, however, we do accept ALL other insurances with out-of-network benefits for chiropractic and physical therapy services. Please feel free to call our office (and contact your insurance carrier) for more information about your coverage options. "I like that Dr. Klein and Got Your Back focus on a long term solution to a problem rather than a quick fix." "This is my first experience with a chiropractor and despite having gone for only a handful of visits, I trust Got Your Back to assist with my back injury recovery..."
"The staff care and provide a tailored treatment service to address your situation. It's more than just an adjustment..."
"Got Your Back Chiropractic is outstanding, thorough, thoughtful, effective, and amazing. Dr. Klein and his staff are not only concerned with fixing your posture..."
"I am a 72-year-old man, in good shape, but I was starting to get bent over. Over the last 3 years Dr. J has enabled me to straighten out my back, hold my neck up..."
"Dr. Klein is passionate about his craft and knowledgable about the science underlying his routines. He also knows how to instruct and encourage his clients..."
"Dr. Klein really takes the time to get to know his patients and understand their needs. Additionally, the staff is always helpful and available to answer any questions." Dr. Klein’s thorough diagnostic testing along with his professional bedside manner is a reason I constantly refer all of my patients from Birmingham to him. After many failed attempts of going to costly doctors who misdiagnosed me, Dr. Klein was so empathetic and put me on a regime that’s totally customized to me. Dr. Justin Klein knows the body and is passionate about supporting people on their movement journey. Dr. Klein and his team are outstanding professionals who helped me get healed after a car accident and get stronger than before. I believe, 100%, in Dr. Klein and the Got Your Back team. I went there with major imbalances throughout my body and the inability to ride my bike anymore.